By now, everyone knows that I love brownies. 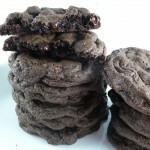 I also love cookies, so when I saw a recipe for brownie cookies I was all in! And when I saw that someone adapted that recipe and made brownie cookies with caramel – OMG! Yeah, I went straight to the kitchen =). It was a sad moment when I realized that I didn’t have any caramels – but I had milky way – and I thought, why not? 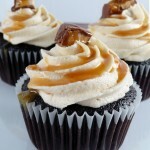 Milky ways are full of caramel too! I was sure they’d be delicious. 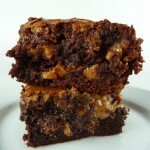 And I was right: brownie + caramel = sugar coma heaven! 😉 These cookies are not for the faint of heart though. They pack a strong chocolate punch – and they should since they start with 16 oz of Ghirardelli chocolate =). 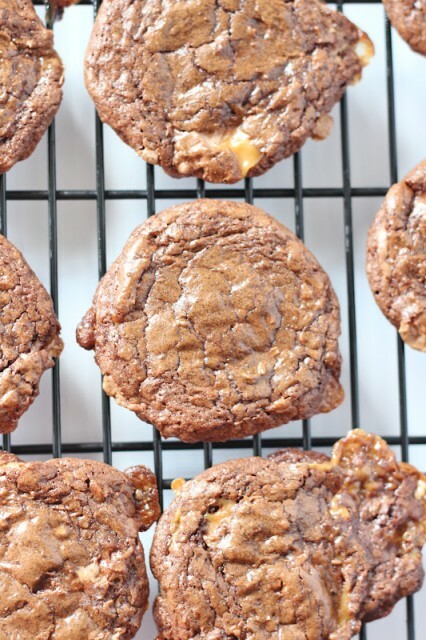 Please don’t try to make these cookies without a silpat or parchment paper. 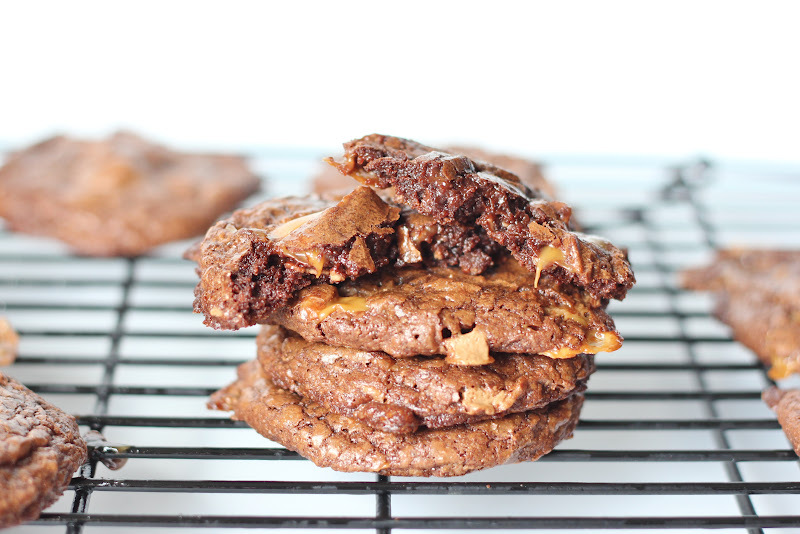 The caramel will ooze and stick and you’ll hate me. Enjoy! 2. Over a double boiler or in the microwave, melt the chopped chocolate and butter together. 3. Meanwhile in large bowl combine eggs, sugar and vanilla, whisking until combined. 4. In a smaller bowl, combine flour and baking powder, set this aside also. 5. When chocolate is melted, slowly add it to the egg and sugar mixture in small amounts, stirring vigorously until incorporated. 6. When chocolate and egg mixture is combined, stir in the flour mixture. Fold in the chopped Milky Way. 7. Drop on prepared baking sheet using a #40 scoop (1 1/2 tbsp). Bake 9-10 minutes until centers are just set. Let cool on baking sheet for 3-4 minutes before transferring to wire rack to finish cooling.